This is pretty awesome. UVM announced today that they’ve won a $470,000 grant to establish a Vermont Natural History Museum from the National Science Foundation. 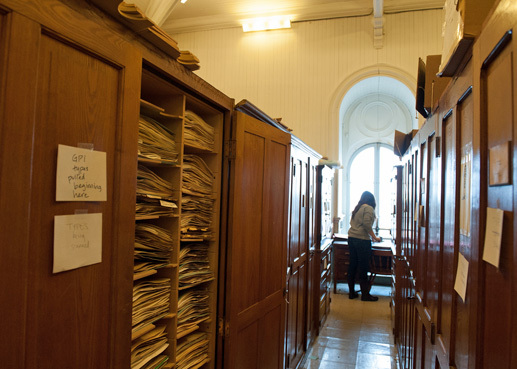 According to their release, it’ll allow the university to consolidate three major collections which they currently house: plants in the Pringle Herbarium and invertebrate / vertebrate collections from the Thompson Zoological Collections. The award will be used to improve specimen storage conditions for each of the collections, reducing the chance of damage from fire, water and pests. It will also enable the university to significantly expand digital imaging efforts currently under way of both the animal and plant collections and of data retrieved from the specimen labels and collection archives. The museum, a joint project of the Department of Plant Biology and the Department of Biology, will be located in Torrey Hall, where the collections currently reside. Vermont isn’t hurting for scientific museums: the Fairbanks Museum of St. Johnsbury is a fine Natural History museum, although it isn’t state-specific, and the Montshire Museum of Science of Norwich is a great introductory location. It’ll be cool to see what comes of this, and hopefully, it’ll be open to the public. Snakes, salamanders, toads, turtles and frogs are either on the move or about to venture out from their winter hiding places. Choruses of critters will soon be in full voice, and we’ll all be reveling in the songs of peepers. 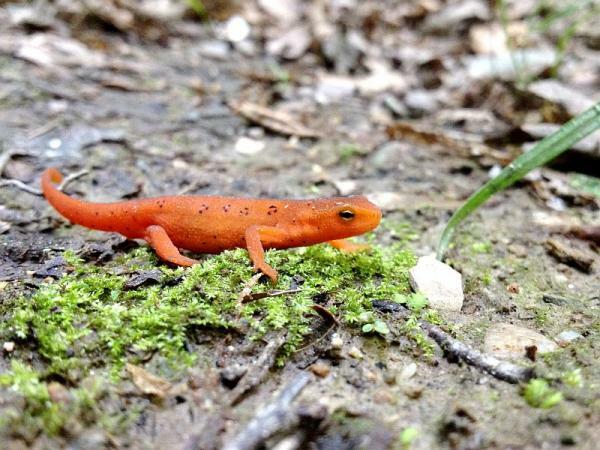 Jim Andrews, Coordinator of the Vermont Reptile and Amphibian Atlas, brings into focus what’s going on around us. Post comments to their page here and listen at 12 and 7pm on VPR. VPR has a great segment on the Vermont whale, and what it’s discovery meant for geology here in the state of Vermont. My dad is a geologist, and I remember him telling me about the skeleton when I was little, especially as we drove across the flat, western parts of Vermont. He would point out geological features. Later, when I worked in North Hero, I spend hundreds of hours searching the beaches for Trilobites. In 1849, railroad workers in Charlotte found a skeleton that helped piece together Vermont’s geological history. The unlikely discovery of what’s come to be known as the Charlotte whale, and the scientific boon it lead to, is chronicled in a new book by Jeff L. Howe called How Do You Get a Whale in Vermont? The Unlikely Story of Vermont’s State Fossil. Howe is the former curator of the Perkins Museum of Geology at the University of Vermont, and he spoke with VPR’s Mitch Wertlieb. Howe said the bones were found while workers were digging the first railroad across Vermont. Interestingly, they were found the summer after a mammoth fossil was discovered as part of the same dig in Mount Holly. The whale was found in a farmer’s field, about 200 miles and two mountain ranges away from the nearest ocean. Not long after the discovery, Darwin published his theory of evolution. At the time, there was a lot of discussion about the origins of the world. Lewis Agazzie was the most famous scientist at the time, and he was located in Boston. He’d seen evidence of glacial activity while growing up in the Alps. Agazzie claimed the same thing was going on here in New England. Listen to the entire interview over on VPR. Thousands of years ago, when the geological features of the Earth were much different than they are now, a small whale expired unceremoniously in the muck at the bottom of a northern sea. It was the kind of unremarkable death that has happened trillions of times in the history of the planet. And yet the very existence of that creature has caused multiple ripples in contemporary Vermont. Yes, whales — probably quite a lot of them — passed their lives in what was once the Champlain Sea. Roughly 13,000 to 10,000 years ago, the brackish body of water covered parts of present-day Québec, Ontario, New York and Vermont. When the land rose at the end of the last ice age, the waters slowly receded to now-familiar boundaries and left countless creatures to their fossil fates. Many remain buried deep inside the Green Mountains, but in 1849, an unlikely series of events unearthed the remains of that one little whale in Charlotte. With the discovery came a host of historical and scientific questions. 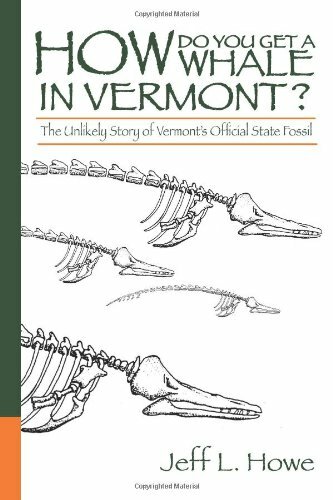 Read the full article, A New Book Explores a Very Old Subject: Vermont’s Whale Fossil on Seven Days.